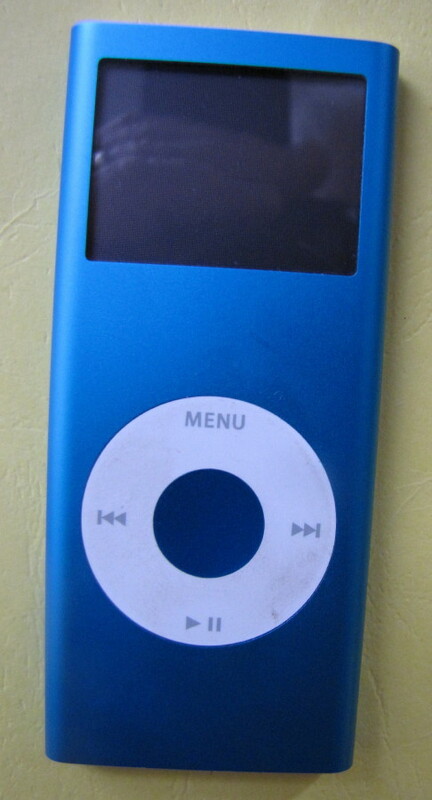 My IPod Nano Won’t Turn Off!! Now my IPod Nano will turn off and here’s the “trip” I took to make it happen. The solution I fell into may help others with a similar IPod problem. Mine would not shut down so I did the usual button pushing that seemed to work in the past – I’ve owned this Ipod for a number of years. No luck. Next, I decided that I should check out the instructions that came with the product. Some of you would have gone there earlier, I suspect. The directions said that I should, “press and hold play/pause.” Tried that. No luck. Next, it was time for a Google search. I put in, “IPod Nano Won’t Turn Off,” and found numerous entries. The tone of most of the entries was frustration. There were also a few suggestions offered – which I tried – with no success. (1)I used my thumb to press both the Menu (B in the diagram) and Center button (H in the diagram). This led to the Apple symbol appearing. When it appeared, I took my thumb off the Ipod. (2)After the Apple symbol was visible for a few seconds the screen faded into darkness briefly before the screen lit up as if the Ipod was back on again. 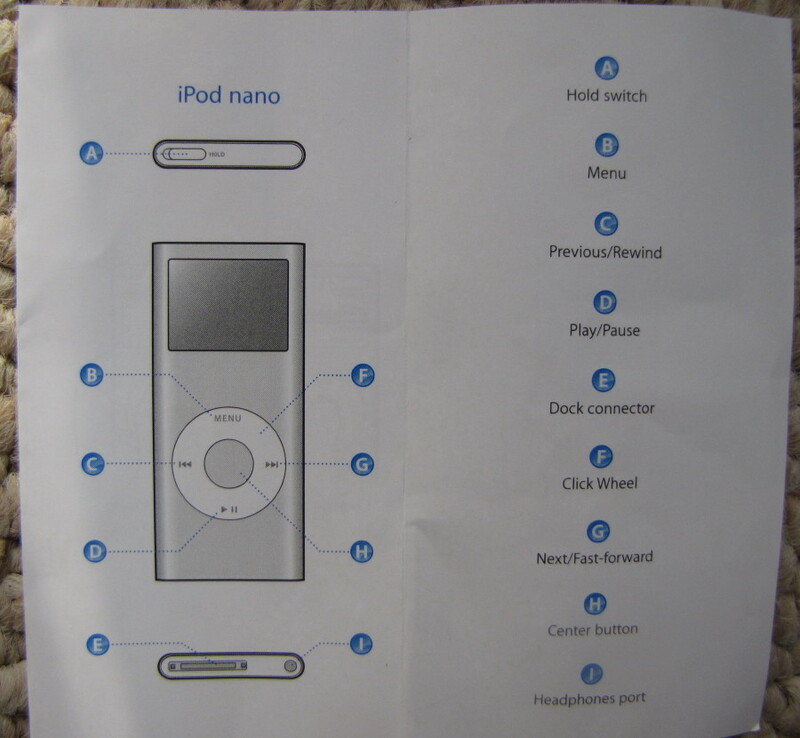 (3)Then I pressed the Play/Pause button (D in the diagram) and the IPod shut off. It worked for me and, THIS IS IMPORTANT; it did not mess up any of the songs I had on my IPod. Will my solution work on your IPod Nano? You could let me know if it did – 85peterjulie17 at gmail dot com Good luck!